It's not too long until the big day... Valentine's Day! For some of us in the office, it's an exciting time, wondering what our special someone has got us, for others, it's a great time to Netflix and actually chill. And eat pizza. Lots of it. Seriously. So. Much. Pizza. But, we figured, whoever our special someone was this year, we should make sure our valentine's presents are truly personalised. So, Harpreet, our product manager asked us (forced us) to get a smartphone skin to show off our special person. Our entire digital team got smartphone skins and used pictures of our partners, kids and celebrity crushes to create a personalised skin for our phones. Check out our top favourites from our Digital team. 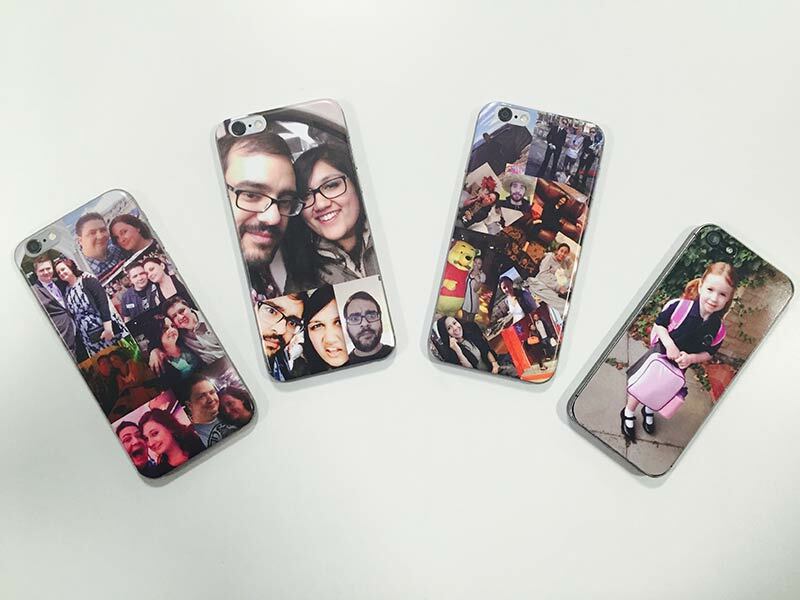 To create our personalised phone skins, we all used personal photos & selfies. We uploaded them through our WePrint design tool and moved them around to create a collage effect. It's obvious who's the parent in the team and who have been together the longest. The skins are an easy way of showing your loved one you're thinking of them. In fact, order two and you and your loved one can have matching smartphone skins. To celebrate Valentine's day, we're offering 14% off CD & DVD labels and smartphone, tablet and laptop skins. Perfect for showing your special person how much you care! Simply apply the code LOVEDIGITAL at the checkout screen to redeem the voucher.